Spectacular wildflowers going up Cowiche Mountain. 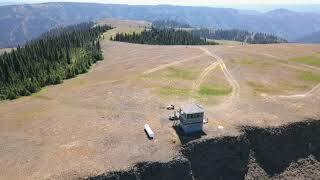 A north to south flyby of Table Rock Lookout. The sun sets over Palouse Falls.